Real talk. Is there anything cuter than little kids dressed up as the Bee Gees? Oh, there is? Little kids from the Philippines dressed up at the Bee Gees singing their hearts out in shiny white pants with one wearing a receding hairline wig. Okay, we stand corrected. 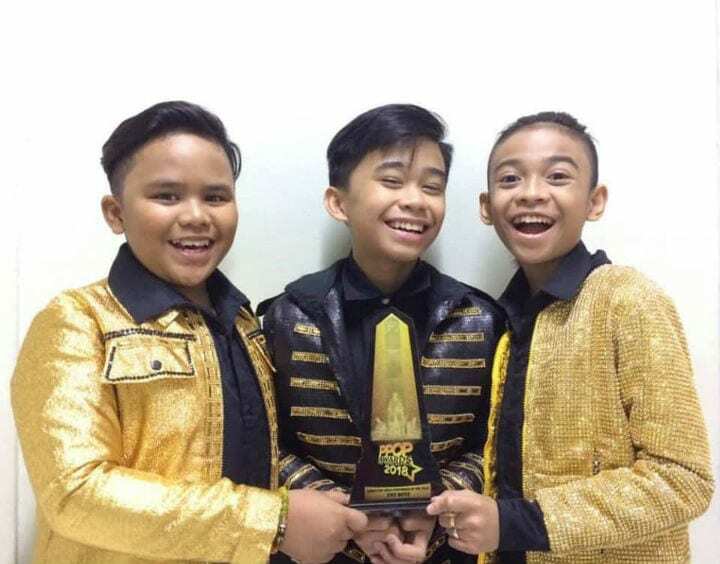 The TNT Boys, a singing trio of three adorable boys from the Philippines, are comprised of members Keifer Sanchez, Mackie Empuerto, and Francis Concepcion. They made their debut on the variety show, Tawag ng Tanghalan Kids. Naturally, they smoked the competition. Next, they performed a cover of Beyoncé’s song, “Listen,” on the show, Gadang Gabi Vice. Well, that performance proceeded to break the internet, becoming a viral sensation, and leading to a repeat performance of the song on Little Big Shots. Say what? The Bee Gees? That pack of brothers from England remembered most for the hit, “Stayin’ Alive,” and their feathery hair and high voices? Yup. Those Bee Gees. 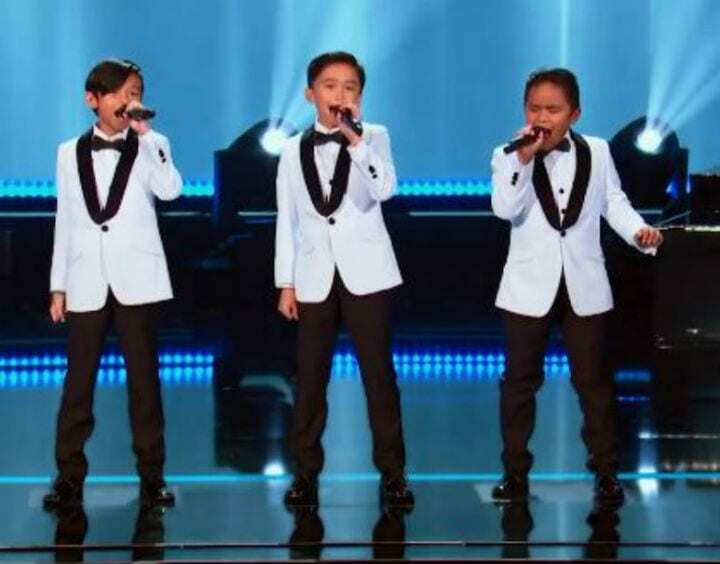 For their next major performance, the TNT Boys prepared their version of the Bee Gees song, “Too Much Heaven,” but then they took it up a notch. The show is called, Your Face Sounds Familiar, because performers dress up like the artists they are covering. 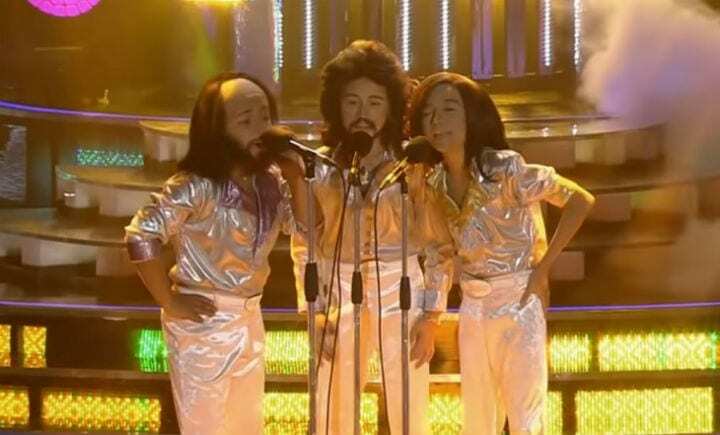 So the TNT Boys styled themselves as the Bee Gees, complete with receding hairline wigs, beards, dazzling silver shirts with an agressively low V, and of course, white shimmery pants. We dare you to watch the video and not fall in love with the TNT Boys as Bee Gees. It’s absolutely Too Much Heaven.